In April 2018, the BN government rushed through the Fake News Act of 2018 to allegedly curb the spread of fake news. The new government pledged to abolish the fake news law, but it has yet to do so (see Legal Environment). Politicians and political websites were subjected to targeted attacks on election day in May 2018 (see Technical Attacks). Blocks of news websites and political blogs that had been imposed in 2015 and 2016 for covering political corruption allegations were lifted toward the end of the review period (see Blocking and Filtering). Internet users continued to be arrested and prosecuted based on their online activity, including at least one new arrest and conviction under the Fake News Act of 2018 (see Prosecutions and Detentions for Online Activities). Internet freedom declined slightly in 2018 in Malaysia because of the new Fake News Act of 2018 which was then immediately used to prosecute an internet user. Meanwhile, technical attacks targeted politicians and websites of political parties during the general elections in May 2018. In a positive development, less violence and intimidation were reported against online journalists and internet users. There are high hopes that restrictions to the internet will lessen in Malaysia following a change in government after the May 2018 elections, the tail end of this review period. The Pakatan Harapan pact that defeated the Barisan Nasional (BN) coalition, which had led Malaysia for 66 years, has promised a slew of reforms, including ensuring freedom of expression and cheaper and faster internet connection. As in past elections, Malaysians again turned to the internet and social media to fuel political mobilization and activism. Prior to the election, officials of the BN government, who were embattled by allegations of government corruption, continued to muzzle free expression by arresting and prosecuting critics and manipulating online content. In April 2018, the BN coalition rushed through a fake news law, which many critics slammed as being a tool of the government to curtail free speech. The new incoming Pakatan government has pledged to revoke the fake news law, although its efforts to do so have failed thus far. The new government has also indicated that it will review the controversial agency which oversees online communications, the Malaysian Communications and Multimedia Commission (MCMC). In a promising development following the elections, websites that were previously blocked became accessible, including the popular Sarawak Report and blog publishing platform Medium. These sites were originally banned for publishing corruption allegations linked to former Prime Minister Najib Razak. Internet access continued to be considered excellent for the region. Efforts were under way to bridge the digital divide between rural and urban areas, including government policies that promote better access to high-speed internet connections. A relatively open market allows for competition among providers, resulting in attractive pricing though not always high-quality service. The figures also showed that households across Malaysia with computer and mobile-phone access rose to 74.1 percent and 98.1 percent, respectively, compared with 67.6 percent and 97.9 percent in 2015.2 At the same time, the share of individuals aged 15 years and above who used the internet rose by nine percentage points to 80.1 percent in 2017, from 71.1 percent in 2015. The percentage of individuals using computers increased 1.1 percentage points to 69.8 percent, compared with 68.7 percent in 2015, while smartphone usage for internet access increased to 97.7 percent, compared with 97.5 percent in 2015. Government statistics continued to show that the highest internet penetration rates were found in the heavily developed Klang Valley area, which comprises the capital city Kuala Lumpur (99.9 percent) and the state of Selangor (99.7 percent). Free Wi-Fi connections are available in many urban spaces, including malls, restaurants, hotels, and tourist destinations. Penetration rates remained low in the underdeveloped, less populated East Malaysian states of Sabah (43.3 percent) and Sarawak (51.8 percent), where most residents belong to indigenous groups.3 Cybercafés play an important role in providing access outside cities. There were no reported cases of government-imposed restrictions on access to the internet during this coverage period.12 However, a partly state-owned company continues to dominate the network infrastructure. The largest mobile provider, Maxis Communications, was founded by Ananda Krishnan, who also owns Malaysia’s biggest satellite broadcaster and enjoys close ties to Mahathir Mohamad, the prime minister from 1981 to 2003 who returned to office after the May 2018 elections.21 Newer mobile phone providers like YTL Communications and Umobile are ostensibly unrelated to the government, but observers believe they benefit from political connections. The national regulator, the MCMC, is government run. Despite its multistakeholder advisory board, it has a poor record of upholding internet freedom. The Ministry of Communications and Multimedia oversees the MCMC. The 1998 Communications and Multimedia Act (CMA) gives the ministry a range of powers, including the authority to license the ownership and operation of network facilities. The CMA directs the ministry to appoint the MCMC chairman and three government commissioners, plus additional commissioners representing nongovernmental entities.26 In 2017, there were six commissioners from the private sector. The process for appointing members of the MCMC advisory board is more transparent and participatory, involving consultations with diverse stakeholders, and civil society members are included on the board. Nevertheless, the MCMC has taken steps to curtail online speech (see Blocking and Filtering). The BN government led by Najib Razak, who faced a high-profile corruption scandal, had blocked popular news sites and critical blogs in the last review period. However, these bans were lifted by the new government shortly after it came to power in May 2018. The new government also pledged to revoke a restrictive “fake news” law passed by the outgoing government just before the elections, but has yet to do so. MCMC blocks on news websites and political blogs that had been imposed in 2015 and 2016 over coverage of political corruption allegations were lifted toward the end of this review period. These bans were lifted in May 2018 under the instructions of the new government.34 The Malaysian Insider website made a comeback in 2017 under a new name, The Malaysian Insight. Transparency about blocking is limited. Blocks are implemented on the authority of the MCMC, which reports to the government (see Regulatory Bodies). No list of affected sites is available. Site owners can appeal a block directly to the MCMC, though there is no guarantee that they will receive a reply. Combative political reporting online may have caused the government or its supporters to try to censor a handful of news websites in the lead-up to 2013 elections. The sites were simultaneously targeted by hackers, and the cause of the service disruptions remained unclear.37 At least two outlets filed a complaint with the MCMC, which never responded. On May 9, 2018, the day of the general elections, politicians from both the incumbent BN coalition and the opposition Pakatan Harapan coalition reported being hacked (see Technical Attacks). 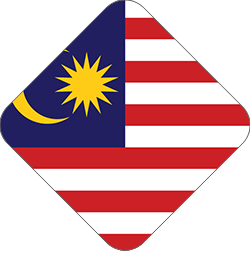 There was a brief disruption that affected Malaysiakini website on the night of the elections; the site was accessible again several hours later, as were the party-linked websites that had apparently gone down on election day. The MCMC periodically instructs websites to remove content, including some that is perceived as critical of the government.40 Blog owners and Facebook users have been told to remove content touching on sensitive issues involving race, religion, and royalty. No such instructions were made public in the review period. Removal requests are generally nontransparent and lack judicial oversight or avenues for appeal. Medium was blocked in 2016 after refusing a government request to remove content (see Blocking and Filtering), but this order was revoked in May 2018, again without any public disclosure. Users simply discovered that previously banned sites were accessible. At the end of the coverage period it was too early to say whether the new government would keep its pledges to improve transparency and media freedom or, alternatively, maintain the draconian policies of the previous government. Until the elections in May, the climate for digital media outlets remained challenging. Some blogs and news portals were still inaccessible after being blocked during the last review period (see Blocking and Filtering). Defamation suits filed by politicians against online journalists were pending, and outlets were subjected to raids (see Prosecutions and Detentions for Online Activities). Yet many platforms struggle to stay economically viable, and government restrictions contribute to difficult market conditions. A handful of news websites are fighting defamation charges from political leaders and face significant financial penalties (see Prosecutions and Detentions for Online Activity). In 2016, the eight-year-old outlet The Malaysian Insider was shut down shortly after it was blocked, though it cited commercial reasons for its closure.51 The outlet reopened under the name The Malaysian Insight in 2017, though it closed again for about two months in early 2018 before resuming operations in May. International blog-hosting and social media services were freely available, with the exception of Medium, which was blocked between January 2016 and May 2018 (see Blocking and Filtering). During the review period, 21.9 million internet users were reported to be active on social media.52 Expanded internet access has led to the emergence of a vibrant blogosphere. English and Malay are the dominant languages, and many civil society groups, including those representing ethnic minorities, have a dynamic online presence. Websites in Chinese and Tamil are also increasing in number and influence. Issues considered potentially sensitive online include Islam’s official status, race, royalty, and the special rights enjoyed by Bumiputera—the term for ethnic Malays and other indigenous people, as opposed to the ethnic Chinese and Indian minorities. Discussing these topics can lead to prosecution, and some internet users exercise self-censorship. Digital tools have been used effectively for political mobilization and have helped expose and undercut the government’s control over traditional media. Digital activists periodically campaign to defend online speech. In February 2016, after police used an official Twitter account to warn a graphic artist who uploaded an image of Najib as a clown, internet users shared similar images under a hashtag meaning “we are all seditious.”66 The artist was subsequently prosecuted and sentenced to a month in jail and a fine of RM30,000 (US$7,500) in February 2018 (see Prosecutions and Detentions for Online Activities). For most of the review period, the BN government continued to press charges against social media users, civil society activists, and politicians for their online remarks. The new government signaled that it would buck this trend. Ousted prime minister Najib withdrew a series of defamation suits against his critics after leaving office, while the first person was convicted under a new “fake news” law. Malaysia’s constitution provides citizens with “the right to freedom of speech and expression” but allows for limitations on that right. While some progovernment court decisions have disappointed freedom of expression advocates,67 other rulings suggest more judicial independence. The government exercises tight control over online as well as print and broadcast media through laws like the Official Secrets Act and the Sedition Act, which dates to 1948. Violations can be punished with fines and several years in prison. The law is applicable to non-Malaysians and to those outside the country, and offenders can be fined up to RM500,000 (US$125,000) or imprisoned for up to six years, or both. Those financially supporting the offenders would also be liable. Any failure to eradicate the production of fake news could lead to fines of up to RM100,000 (US$25,000). The courts can order the destruction of publications containing fake news. Critics said the new law was open to abuse in the hands of the government.74 The online news portal Malaysiakini filed a court petition to have the law declared unconstitutional, as it imposed an “insurmountable burden” by requiring proof that every item published “by way of reportage or opinion is true in every sense.”75 The matter was pending in court at the end of the coverage period. Defamation is a criminal offense under Sections 499 to 520 of Malaysia’s penal code. Media outlets benefit from stronger privileges under the Defamation Act of 1957 if they can prove that the content is accurate and was published without malice;78 bloggers, who lack this protection, are at greater risk of punitive damages. The government has also pursued prosecutions for online content under the 1998 CMA. The act’s broadly worded Section 211 bans content deemed “indecent, obscene, false, threatening, or offensive”; spreading such content over the internet constitutes “improper use of network facilities or network service” under Section 233. Amendments to the CMA and the related Communications and Multimedia Commission Act (CMCA) of 1998 were expected to be presented in late 2016,79 including measures to curb the use of social media to inflame “religious and racial sensitivities” or support the “recruitment of terrorists.”80 Critics said the intention was to restrict criticism of the government.81 A minister of the BN government argued that the planned amendments were not designed to limit free speech, but to “create a mechanism to detect irresponsible individuals who cause false news and slanderous allegations.”82 They have not been brought to Parliament yet. During this review period, internet users were arrested and prosecuted for online speech, including under the new Fake News Act. A case involving the news outlet Malaysiakini was pending during the entirety of the reporting period, but later a court issued acquittals in September 2018, following the coverage period.93 The MCMC raided the outlet’s offices in November 2016 and seized two computers in response to a video uploaded on its subsidiary, KiniTV, in July of that year.94 The video showed an opposition leader criticizing the attorney general at a press conference. KiniTV and its two directors were charged with improper network use under the CMA, which carries a jail term of up to one year and fines of up to RM50,000 (US$12,500), as well as a further fine of RM1,000 (US$250) for every day that the video remains available after conviction. No severe or crippling technical attacks aimed at suppressing political information were reported during this review period. However, there were several technical attacks targeting politicians and political websites on election day in May 2018. In previous years, independent online news outlets and opposition-related websites have faced intense distributed denial-of-service (DDoS) attacks. DDoS attacks force sites to crash by overloading the host server with requests for content. Some observers believe such attacks are either sponsored or condoned by Malaysian security agencies, since they often align with government priorities. 16 Summary of shareholding in Telekom Malaysia, http://bit.ly/290zliY. 57 K Pragalath, ‘Netizens swamp Najib’s Facebook to object fuel hike’, Berita Daily, February 3, 2017, http://bit.ly/2oeRRbc. 58 Razak, Ahmad, ‘Zahid: Umno should master use of social media’, The Star Online, January 22, 2017, http://bit.ly/2oyR8Vt. 68 Anisah Shukry and Eileen Ng, "Sedition Act stays, says Najib," November 27, 2014, http://bit.ly/1uKsQQF; Trinna Leong and Al-Zaquan Amer Hamzah, “Malaysia toughens sedition law to include online media ban, mandatory jail,” ed. Paul Tait, Reuters, April 10, 2015, http://reut.rs/1Ykub33; “Amendments to Sedition Act passed with several changes”, New Straits Times, April 10, 2015, http://bit.ly/1acd664; Marie Harf, “Malaysia's Sedition Act Amendments,” US Department of State, press statement, April 14, 2015, http://1.usa.gov/1OQB6ii. 69 Mong Palatino, “Malaysia strengthens Sedition Act,” The Diplomat, April 13, 2015, http://bit.ly/1IJCBJg. 70 Human Rights Watch, “Space for public debate and free speech is rapidly narrowing in Malaysia, says new report,” via IFEX, October 28, 2015, https://www.ifex.org/malaysia/2015/10/28/report_criticism_crime/; Article 19, “Malaysia: Sedition Act upheld in further blow to free expression,” via IFEX, October 13, 2015,https://www.ifex.org/malaysia/2015/10/13/court_ruling_sedition_act/. 90 ‘Police arrest youth for allegedly insulting Terengganu Sultan’, Malay Mail Online, April 13, 2017, http://bit.ly/2oc7ZLg. 91 ‘Student arrested over Facebook posting about Adenan’, Malay Mail Online, January 14, 2017, http://bit.ly/2pBf1tb. 99 Privacy International, Final Report for “Privacy in Asia” Scoping Project, November 2009, https://idl-bnc.idrc.ca/dspace/handle/10625/40000. 100 Telecommunications Industry Dialogue, “Malaysia Country Profile,” http://www.telecomindustrydialogue.org/resources/malaysia/. 103 Barry Ooi, “How the Personal Data Protection Act Impacts the Market Research Industry,” The Star, December 29, 2012, https://www.thestar.com.my/business/business-news/2012/12/29/how-the-personal-data-protection-act-impacts-the-market-research-industry/. 105 Morgan Marquis-Boire et al., “You Only Click Twice: FinFisher’s Global Proliferation,” Citizen Lab, March 13, 2013, http://bit.ly/1grgVFd.